In March of 2015, I visited Eesti Korteriühistute Liit or the Estonian Union of Co-operative Housing Associations (EKÜL). The organization acts as an umbrella trade group for co-operative housing associations throughout Estonia. Membership to the organization is voluntary but they represent over 1400 members currently on a local, national and international level. The membership base represents over 15% of the total housing stock in the country. EKÜL cooperates in partnership with state institutions, municipalities, universities, private companies and NGOs. Its goals are to progress and market the housing association effort and to advocate and share in legislation by being an active voice in the shaping of legislative policy on housing in Estonia. Another important part of their work is to provide training, consulting and collaboration with the management and administration structures of Estonian housing associations. On this day I met with Anu Sarnet the Head of International Relations and Project. We discussed the structural change of housing in Estonia and their organization’s role in both the advocacy and professionalization of the industry. Anu said there are 3 steps involved in the history of Estonia’s Housing Reform. 2. Privatizing of Apartments- The communist government nationalized most of the land and the buildings in the 1940-1950 times. Owners were almost never compensated as the state controlled all the housing, construction and maintenance. In 1991, more than 65% of all the housing in the country belonged to the state. The transformation back to privatization grew from several causes. The privatization movement went hand and hand with the mindset of the population. Residents completely rejected the former collective behavior used in a communistic state. Instead, the people wanted individual solutions with the right for more responsibility and liberty. On top of the peoples will to control more of their rights, the state could not maintain the units and had failed in providing quality housing to the citizens. Lastly, the state wanted to return property back to owners that had experienced the injustice of a land seizure during the period of collectivization. The actual process of privatization took place in 1991. “The right of first refusal belonged to pre-nationalization owners or their successors.” When the state did not find a past owner; the sitting tenant could privatize the unit for their own use. When a prior owner made a claim, the current sitting tenant could not keep the unit. In all, around 150,000 former owners exercised this right. The government completed the process using vouchers provided to tenants. 98% of the compensation paid for the housing came from vouchers provided by the government. Non-profit organizations managed by a board of directors. The board can hire real-estate manager if needed. At the beginning of privatization, one housing co-operative had to be established for each building. The rule changed and apartment associations / housing co-operatives can have many buildings. 3. Creation of an industry: To help professionalize and advocate on behalf of the housing industry, the Estonian Union of Co-Operative Housing Associations came into existence. The organization established in 1996 and its main office is in the capital city of Tallinn. All the members are co-operative housing associations or apartment associations established after the privatization reform of the 1990’s. All together, they represent 1400 members covering 56,000 units and work with many partners to advocate and train on behalf of the industry. What is fascinating about this monumental change in housing policy is the management structure. 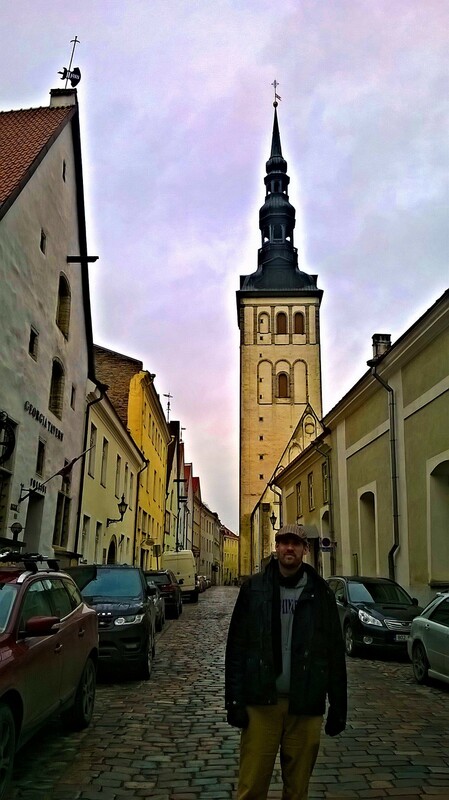 Estonia went from a country where the government provided most of the housing and maintenance to a country where the residents needed to provide both the management and upkeep of these shared buildings. EKÜL plays an important role in helping these owners. Imagine a building with 50 people who now own a share of the place. They must all work together for the common good of the building. This radical shift is not easy and makes EKÜL’s work invaluable. Situations arise where an owner may not want to pay a fee, or a dispute with a construction company comes about. EKÜL helps with legal services, representation in courts, bookkeeping and training of managers. EESTI also brings together housing associations to share best practices in the form of meetings and conferences. Housing Associations face numerous challenges in the upcoming decades. One of the biggest challenges as mentioned earlier is the professionalization of the industry. Many associations suffer from a low amount of awareness and motivation on the part of many owners. The government once took care of management and maintenance. The drastic change to home ownership made involvement of new owners important. Many are not interested in this which makes it more difficult to make important changes to a building in either renovation or energy efficiency upgrades. The knowledge base of owners is also varied so the expertise of property management and asset management is often not high. As with property management and asset management, technical knowledge of energy efficiency is not always available in a housing association. Associations need both help in the realm of training and consulting. Another large challenge is the condition of the housing units themselves. The construction of the units took place during soviet times or before the war. The construction of 60% of the units happened between 1960-1980. The construction of a further 30% took place before 1960. That means the quality of the units and the energy efficiency is low. There is a need for reconstruction and renovation across the housing stock in Estonia but the current rate of renovation is below 1% of the existing stock. If a housing association wishes to upgrade energy efficiency; the lack of financing in the country makes it hard. The average life expectancy of a dwelling is 70 years so the need to lengthen the lifespan of existing housing through repair is high. Again, the problems of both capital and knowledge make this problem of renovation more complicated. The country created several mechanisms to support the implementation of energy efficient investments. An example is loans for renovations in residential buildings, another is an investment scheme to support energy upgrades for housing associations only. The privatization of housing in Estonia has been one of the biggest in all post-Soviet countries. The majority of the public tenants wanted this change and the possibility of owning their property. When examined, the transfer itself was favorable to the tenants in most cases. Some owners received the right of ownership to units that are better than others. That is a point of contention for some. The lack of the government’s ability to keep up with maintenance and management made many believe this was the right way to handle housing in the future. The housing association sector filled the void left by the national government in managing and maintaining housing throughout the country. The current state of the industry is one of constant improvement. The continuation of training staff and advocating for greater funding for renovations are both necessary to ensure the housing stock in Estonia continues to meet the needs of the population while also transitioning towards energy efficiency.